The following students have been named to the Dean's List at Lock Haven University for the fall 2018 semester. Lock Haven University began offering a new biomedical sciences track to current students who were already enrolled at LHU in fall 2016 and to new freshman starting in the fall 2017 semester. The fall 2018 semester saw its second class of incoming freshmen. 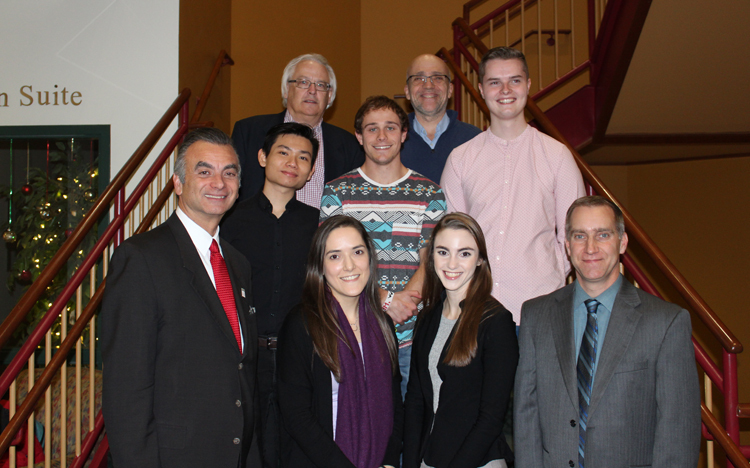 Lock Haven University business students recently participated in the Student Pitch Competition finals held on November 30 at the Durrwachter Alumni Conference Center on the campus of LHU. The Lock Haven University Testing Center will conduct two more Graduate Record Examinations (GRE) General Tests during the fall semester. The next testing session will be held at 5 p.m. Monday, November 26 in the Testing Center.